Last week’s post, How Do I Begin Homeschooling, featured resources and options for home educators to consider for their homeschooled children. One resource listed in that post was homeschool program Classical Conversations. The resource link received a few clicks which means there were probably some families interested in learning more about Classical Conversations. Today, Challenge A Director with Classical Conversations, Amanda Griffith, will share a little more about home education through Classical Conversations. 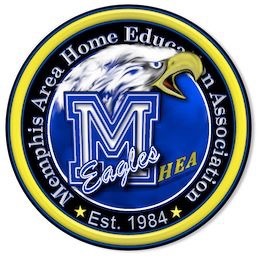 Homeschooling In Memphis: Thank- you Amanda for taking the time to share a little about Classical Conversations with Homeschooling in Memphis Blog. Amanda: I am a Christian wife and mother of 2 girls. I have a degree in marketing that I used for over 8 years as a retail manager. I’ve since followed God’s calling to stay home and homeschool my girls. My favorite pastime besides spending it with my family , is to read. I love getting lost within the pages of a good book. This school year I step into a new role as Challenge A Director for the Faith Baptist Church community. HIM: How long have you been homeschooling? Amanda: The start of the 2018-19 school year will mark my 8th year as a homeschool educator. HIM: You mentioned you’re the Challenge A Director with Classical Conversations Faith Baptist Church community. Tell us a little about Classical Conversations in general. Amanda: Classical Conversations is a community of like minded individuals that come together weekly with one main goal. That goal is to build up children to love the Lord and to spread that love to others. Children through Classical Conversations are led to master selected core knowledge, and they are taught how to use the tools of learning. Students are encouraged to seek what is true and good. HIM: How long has your family been homeschooling through Classical Conversations? Amanda: We will be starting our 5th year with Classical Conversations. HIM: Is Classical Conversations a drop off homeschooling program or do students and parents meet a few days a week in a classroom setting? Amanda: Classical Conversations communities meet one day a week for 24 weeks for Foundations and 30 weeks for Challenge. For the Foundations age children (K4-6th grade) the parent is the primary teacher. Therefore, the parent attends along side their student. Parents learn how to teach classically at home. For grades 7-12, the parent isn’t required to attend class with their student. HIM: Since joining Classical Conversations what benefits have you seen in your children? Amanda: Since joining CC, my children have developed a great life skill of speaking in front of others. They are more confidant outside of community day (where they give a short 1-3 min weekly presentation) ,and are able to sing and talk in front of large groups of people. With our 12-year-old there has been a growth in her ownership of her education. She knows what her weekly school expectations are, and is learning how to plan accordingly. HIM: This year you’re moving into a new role as the Challenge A Director. Can you tell us specifically about Challenge? What age/grade is Challenge A tailored to? And what are some of the subjects students will work on? Amanda: Challenge is for grades 7th-12th (ages 12-17/18). These are considered the middle and high school years. Every challenge level is comprised of 6 strands which are: Logic-math, Grammar-Latin, Research-Science, Reasoning-Apologetic/logic, Exposition-Literature, and Debate. The director/tutor for each challenge level facilitates class discussions weekly. They also help make connections between the 6 strands. They meet 1 day a week for 30 weeks. Challenge A is geared toward students age 12 and older. This is the starting point for a more self-directed stage of learning. Instead of a parent directed one. The goal is to get students to own their learning by providing them with the tools to do so classically. Students in Challenge A will have a mix of grammar and dialectic material with a beginning of the rhetorical process. Students in Challenge A will read wonderful literary classics. They will learn how to ask good questions and how to apply style techniques to craft a persuasive essay. They will also learn reasoning and apologetic. HIM: I know this is a new role for you as the Challenge A director, but can you share some long-term benefits for students who choose to home educate through Classical Conversations? Amanda: Long term benefits of educating with Classical Conversations is that through CC students are classically taught and prepared for their next quest after high school. They work towards a goal of leadership. HIM: If a parent reading this does not have a student old enough for Challenge will you be able to connect them to the right person to get started with Classical Conversations? Amanda: Yes, we have directors for Foundations and Essentials programs in the Memphis and surrounding areas. I can get interested families in contact with a director that is near them. HIM: How can people reach you for more information? Amanda: Families can reach out to me through email at ajgriffith1@hotmail.com. HIM: Thank-you Amanda for taking the time share with our community. From reading the article this particular group meets at Faith Baptist Church. There are several CC groups in the area. I recommend reaching out to the director in this post as she can give you more information. Her email is listed. Andrea our Classical Conversations community meets at Faith Baptist in Bartlett. If you would like to email me at ajgriffith1@hotmail.com, I could give you more information about other communities in the area. We don’t mind at all if you share this! Thanks for reading and commenting!